Client Spotlight: Breakaway Ministries — Subsplash.com | Engage your audience like never before. With 10,000 college students attending Breakaway Ministries on any given Tuesday night, it’s a no brainer that God is doing great things on the campus of Texas A&M. Led by Ben Stuart and his team, Breakaway is a weekly college ministry that gathers students together, shares the good news of Jesus, and helps connect them with the local church. Being a long-time fan of Breakaway and having been blessed by their podcast during my college years, I was incredibly excited to speak with them about their ministry, and how they’re using their app to spread the Gospel. Brent Monogue, Breakaway’s Production Director, was able to tell us more about their heart for reaching college students through technology. “People don’t go anywhere nowadays without their smartphone. We created an app to take the Gospel further out to more and more people and deeper into the hearts of people who know and love Jesus. Our heart is to introduce students to Christ, connect them to His Church, and inspire them more to connect with Him.” Well, Breakaway seems to be doing just that. With almost 11,000 downloads of their app after its launch just 2 months ago, as well as people across the nation and worldwide tracking with their online resources, Breakaway is clearly making a significant impact for Christ. In addition to their quality content and engaging artwork, one of the features that makes the Breakaway app stand out is its training feature. Not only can users watch weekly sermons, but they can also dig deeper into biblical text through hands-on training videos from Pastor Ben Stuart. “We use the training feature to be a resource to help not only students, but anyone who wants to study the bible more effectively. That’s the 'deeper in' part.” Alongside the training tab is the ESV bible feature, giving users access to the bible, sermons, and training - all in one place. While helping connect students to resources and training, the app has also been a great tool for more direct and immediate communication. When Breakaway had to change venues last minute, Brent sent out push notifications to notify almost 5,000 students who had subscribed. That covered at least half of the attendees! We really love the look and feel of the Breakaway app. 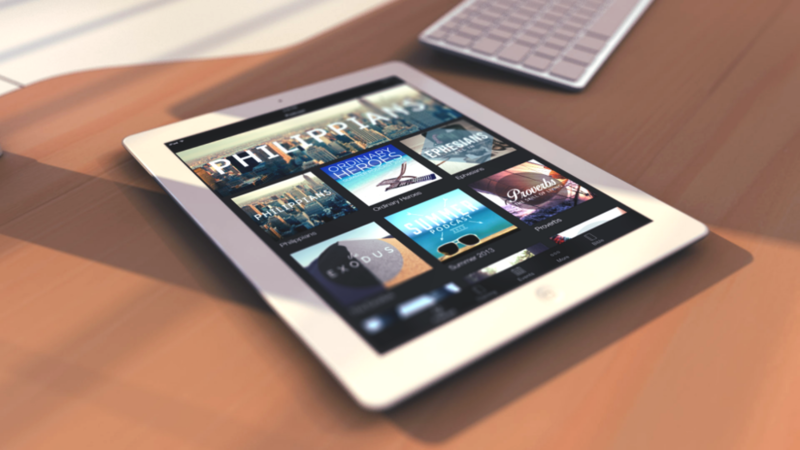 With engaging artwork and a practical layout that guides users deeper into biblical teachings, they have done a great job creating an amazing tool for their audience. The app is not only a useful resource for students, but for anyone that wants to be led into a more intimate relationship with Christ and His word. If you haven’t downloaded their app yet, we strongly encourage you to do so here! Benefits, The Church AppKrissy Schoeffling October 21, 2014 why create an app?, benefits, engagement, brand enhancement, the church app, giving, the village church, why should my church have an app?